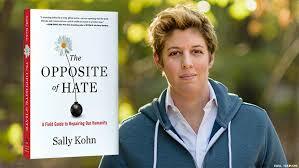 There are a lot of people who don't know much about Sally Kohn other than that she is a good person. They see her on television as the person who helps defuse a situation. She was a liberal commentator on Fox News for about two years before moving over to CNN. In both roles she has been asked to debate ideas with hardline conservatives on any number of issues. Kohn has always kept her cool. She is known for sharing the idea that we do not have to be abrasive to one another to get our points across. In fact, she makes the argument that bickering with one another on personal terms like that does not solve any bit of the problem. She says that it just makes people more angry and is ultimately just more divisive for all of us. Her new book is now out called "The Opposite Of Hate". 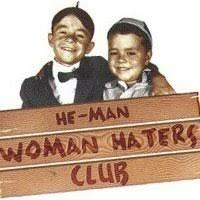 In the book she coins the phrase "emotional correctness". This is having mutual respect for those whose ideas and values you strongly disagree with. She believes that it is highly important to have this in our lives even when we feel like resorting to anger to get our points across. However, Sally Kohn is the first to admit that in recent years she has also felt herself slip into places of anger and frustration much more easily. She is concerned that even for her the rage machine can get turned on at a moment's notice. Before she ever became a television commentator she worked as a community organizer on issues related to the LGBT community. It was a job in which she says she was "trained to hate". It was so much easier for her to work through her job by using angry and hateful language. However, Sally Kohn would like to dispel the myth that this is the best way to do things. In a society that is becoming increasingly tribal by the day, Kohn wants to remind everyone that we really do have a lot more in common than we have apart. There are numerous issues on which we can see eye to eye if we decide to do so. She wants everyone to remember their humanity and try to see the prospective of the other side of an issue every once in a while. After all, that is the best way to learn more about the world around you. Get out of your own bubble and things will work out better for you.